by Brian Steinberg (Variety)Van Jones, the civil rights advocate and former Obama administration advisor, will get a regular bimonthly slot on CNN’s primetime schedule with “The Van Jones Show.”The one-hour program will launch in January, CNN said, and Jones will also host a new original documentary series that will examine on instances of “reconciliation, hope and redemption within the criminal justice system.” Citizen Jones, a production company, will collaborate with CNN on that program. 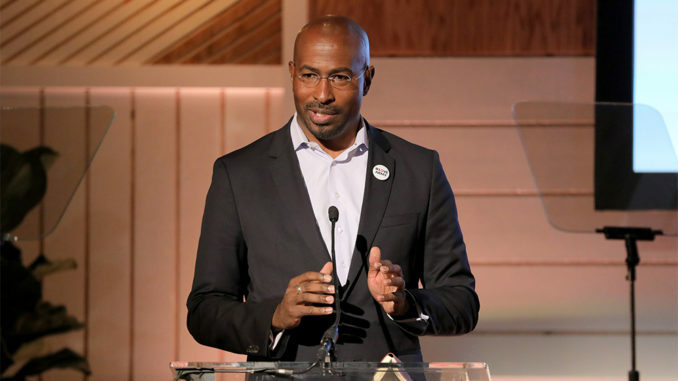 In “The Van Jones Show,” the host will offer his take on “the forces that elected Donald Trump, the anti-Trump ‘resistance’ movement and the future of both major parties,” CNN said. Jones has been an intermittent part of CNN’s lineup in recent months, hosting a series of town halls under the rubric “The Messy Truth,” during which he seeks answers on various policy and culture issues from voters across the nation. Jones has worked as a CNN contributor since the end of 2013, and worked alongside Newt Gingirch, Stephanie Cutter and S.E. Cupp on a re-boot of the CNN perennial “Crossfire.” The show was canceled in the fall of 2014, but Jones has continued to enjoy a CNN presence, most notably, perhaps, during the 2016 presidential election.